What Makes Kim Hopper Tick? (SEPTEMBER 2012) Dean Hopper shares a favorite Bible verse and talks about the inspiring ways God has moved during recent Hoppers concerts. Plus, a special video preview of the Hoppers' album "Count Me In"! (OCTOBER 2012) After recording music for 55 years, many groups might be hesitant to take risks, sticking to the “tried-and-true” methods that have brought previous success. Not so with the Hoppers! (OCTOBER 2012) An inside look at the Bible-reading habits of some of the Homecoming Friends who contributed their words to the Gaither Homecoming Bible. (OCTOBER 2012) Karlye Hopper, the daughter of Homecoming friends Dean and Kim Hopper, talks about her faith, her traveling family and what it's like to be a teenager in the midst of it all. (DECEMBER 2012) Southern Gospel icons and Gaither Homecoming Friends the Hoppers were recently inducted into the Gospel Music Association's Hall of Fame, and they are having a special online event to celebrate! 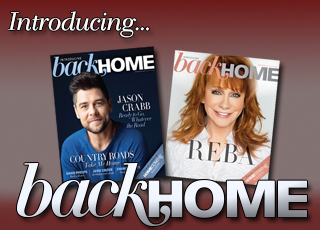 (FEBRUARY 2013) Homecoming readers send us their stories! This story is from Suzanne Montgomery. (MAY 2013) One of the founding members of the Hopper Brothers, Claude Hopper's brother Monroe passed away on May 17, 2013. (FEBRUARY 2014) The Hoppers were honored in their hometown of Madison, N.C., when the city designated October 5 as “Hopper Day”. . . The Hoppers Perform on "The Music City Show"
(JULY 2014) Gaither Homecoming favorites the Hoppers are slated to appear on "The Music City Show" airing Thursday, July 24 at 7 p.m. CST. A modern take on "Because He Lives," prayer needed for Chonda Pierce, the faith of Joey + Rory, a surprise from Sonya Isaacs and news from the Hoppers!